As a result, girls do not develop a positive math identity — an identity that research tells us is key to their interest, participation and persistence in science, technology, engineering and math (STEM) education and careers. Without a solid background in math, girls will not develop the critical STEM skills that will be required for60 percent of the new jobs that will become available in the 21st century. The negative messages are compounded by the dry, abstract way that math is traditionally taught. Studies have shown that in traditional math classes, which focus on procedures and memorization of concepts, girls underachieve and opt out, whereas in inquiry-based classes, which emphasize conceptual development and the ability to verbally explain one’s problem-solving approaches, achievement and participation are equal for girls and boys. In fact, in inquiry-based classes, achievement is higher overall, for boys and girls alike. When mathematics is taught well — as a broad, multidimensional subject that involves inquiry, making connections, reasoning and creativity — it helps all students. 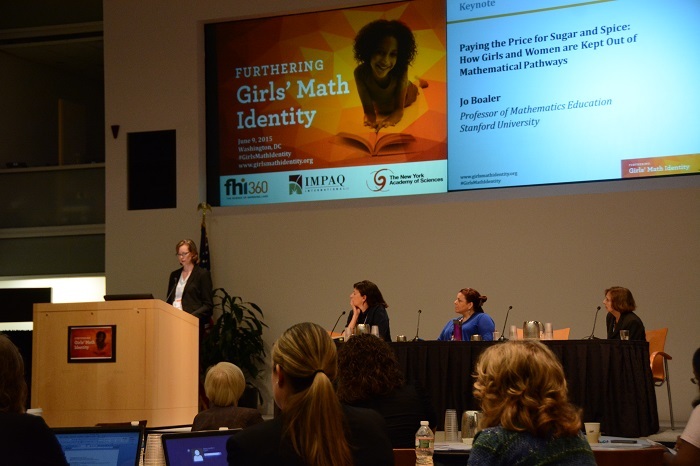 Earlier this month, FHI 360, in partnership with IMPAQ International and the New York Academy of Sciences, hosted the Furthering Girls’ Math Identity event in Washington, DC. 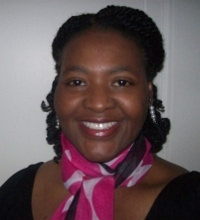 It was part of a capacity-building project funded by the National Science Foundation to lay the groundwork to advance research and practice relating to girls’ math identity, with a focus on girls in grades 4–8; these are critical years when girls face transitions from elementary to middle to high school. During the event, researchers and educators from across the country formed a networked improvement community. Through this community, researchers, classroom teachers and informal educators will work together to develop a research agenda and take action to improve middle-school girls’ math identity as a way to broaden participation in STEM. These are important steps toward improving girls’ positive math identity and improving math teaching for all. We invite you to learn more about our critical work.